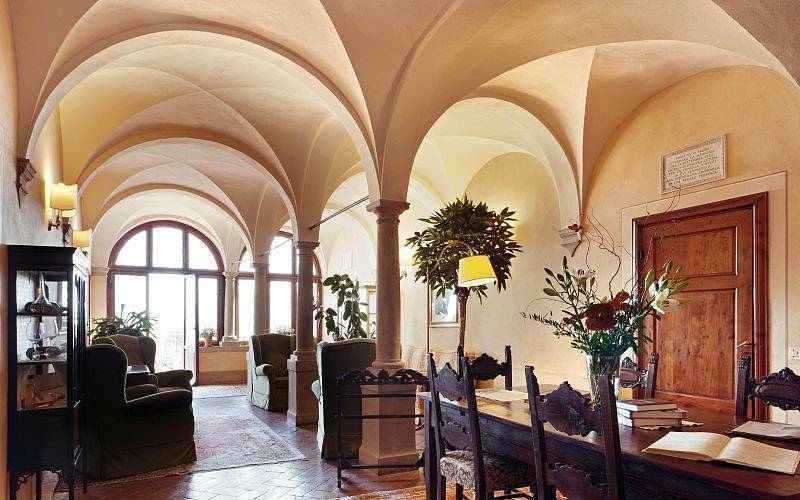 The postcard-perfect valley of Chianti, with its sweeping countryside and dreamlike scenery as far as the eye can see: Palazzo Leopoldo is a charming historical residence which welcomes guests to Radda in Chianti in the heart of Tuscany, the most authentic corner of this famed region. 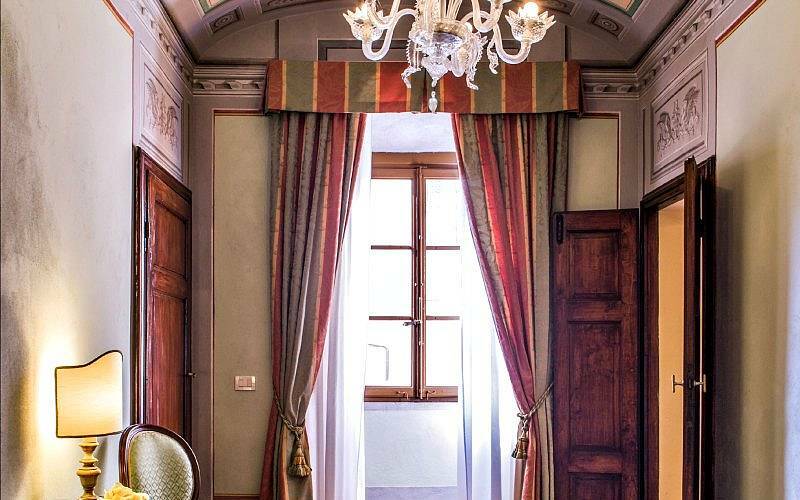 From former estate villa to welcoming inn: Palazzo Leopoldo retains its historic charm and elegance while offering all the modern comforts and amenities of a luxury accommodation. 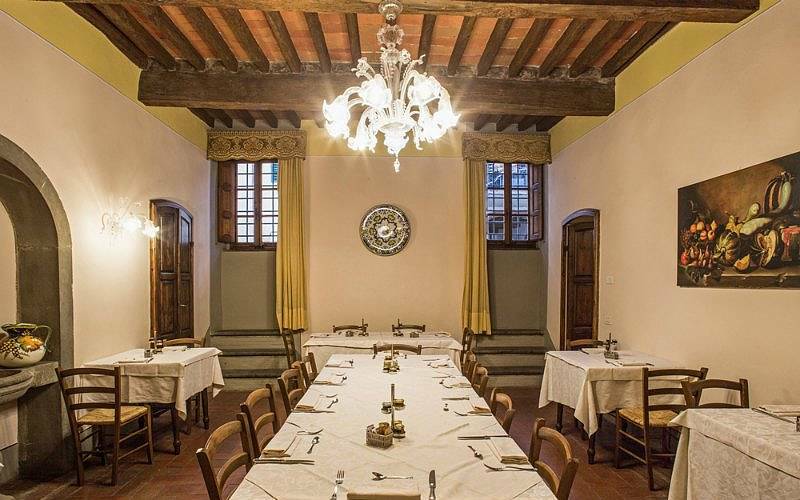 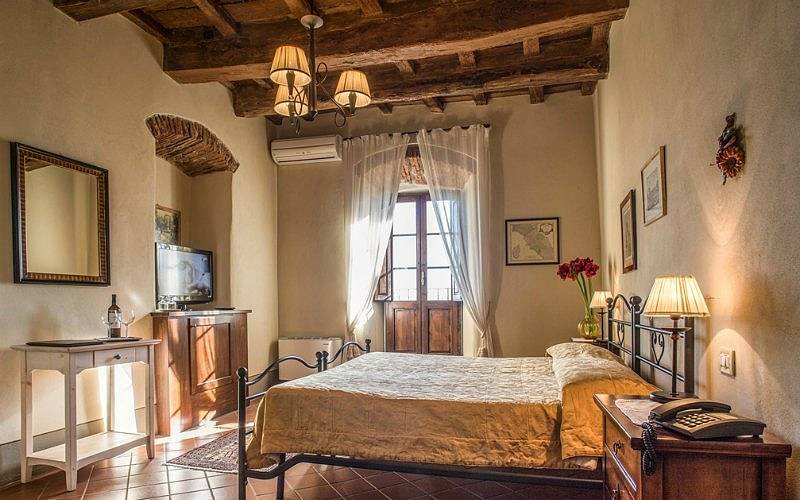 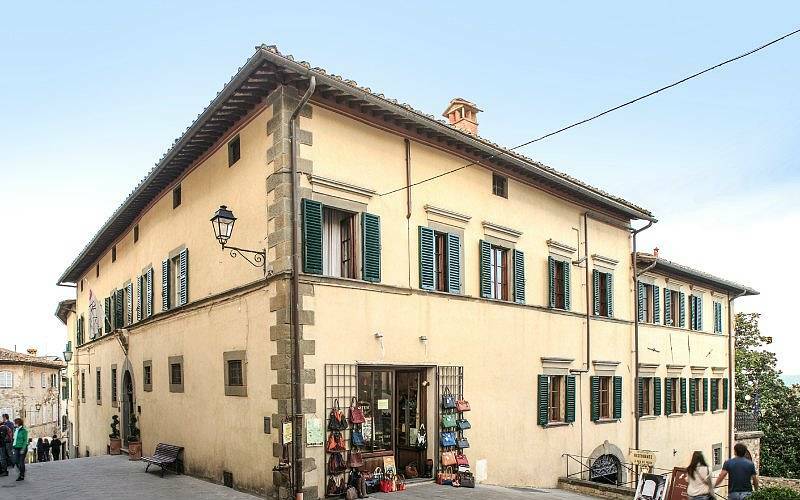 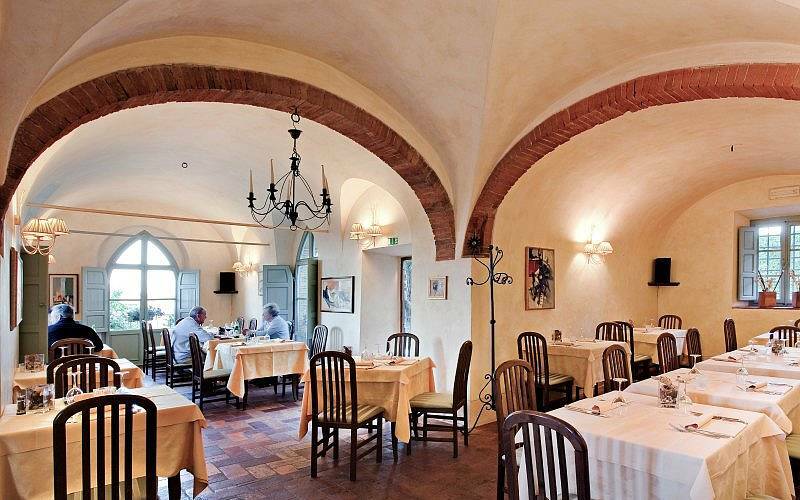 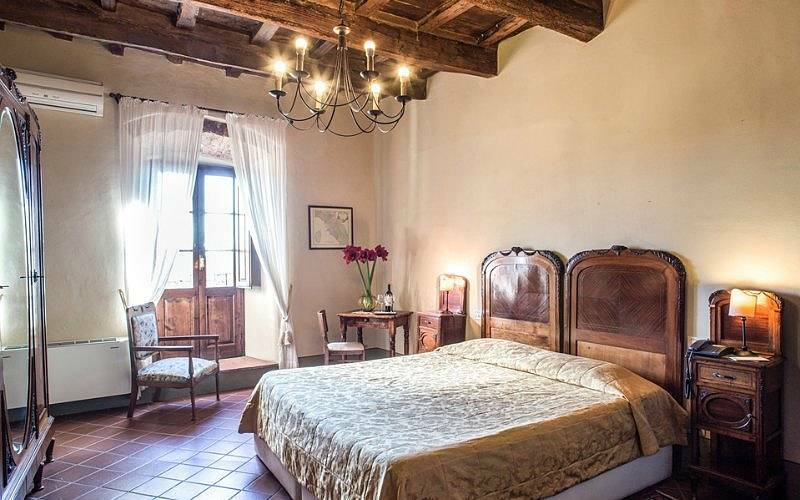 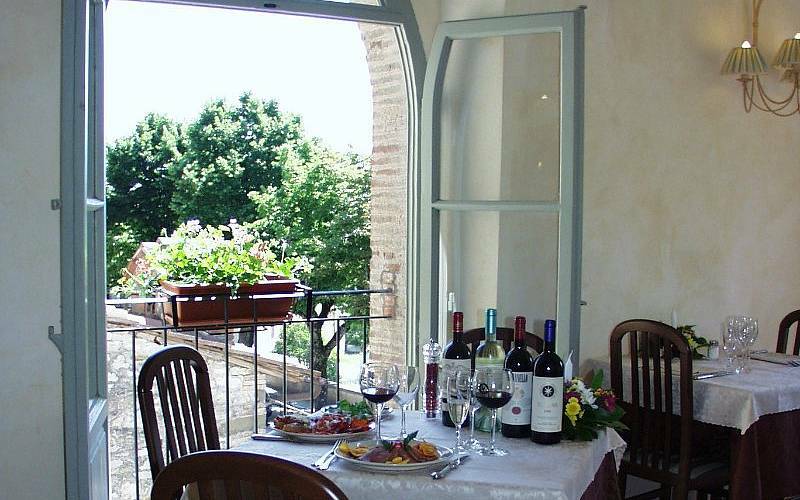 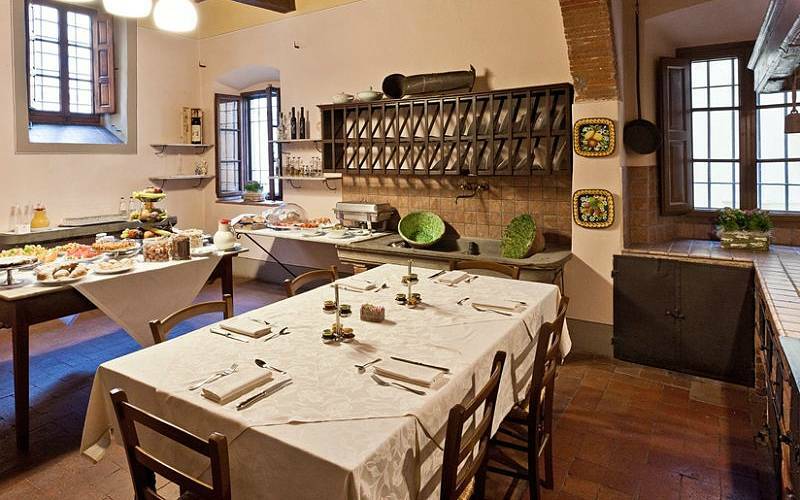 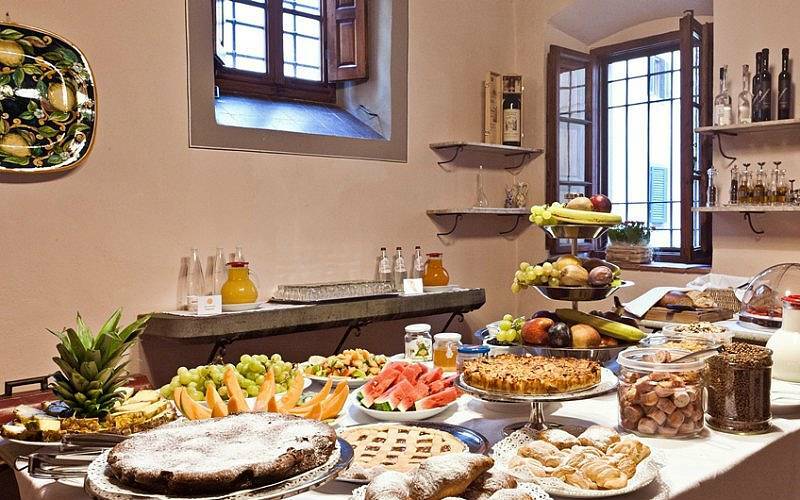 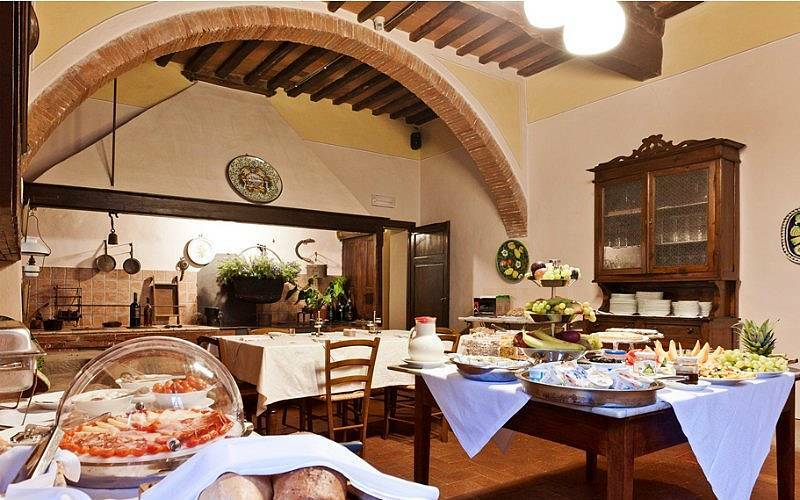 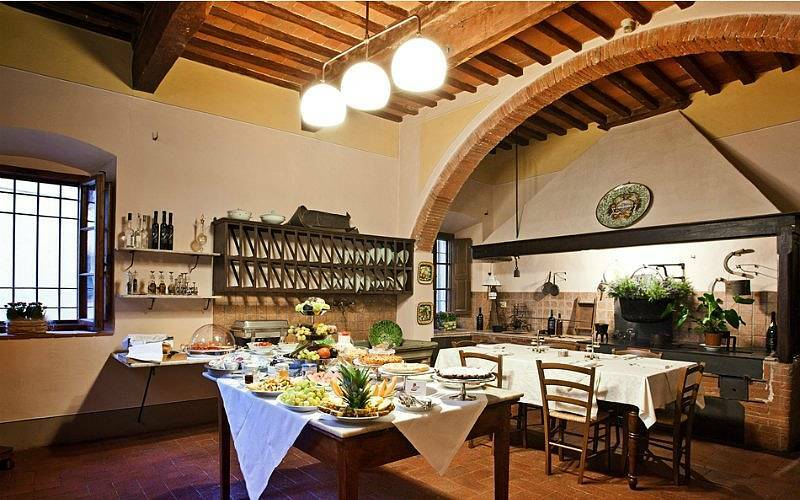 Frescoes, terracotta tiled floors, fireplaces, the original kitchen dating from the 18th century where breakfast is served, and the private chapel: an authentic residence from the 1800's perfectly intact. 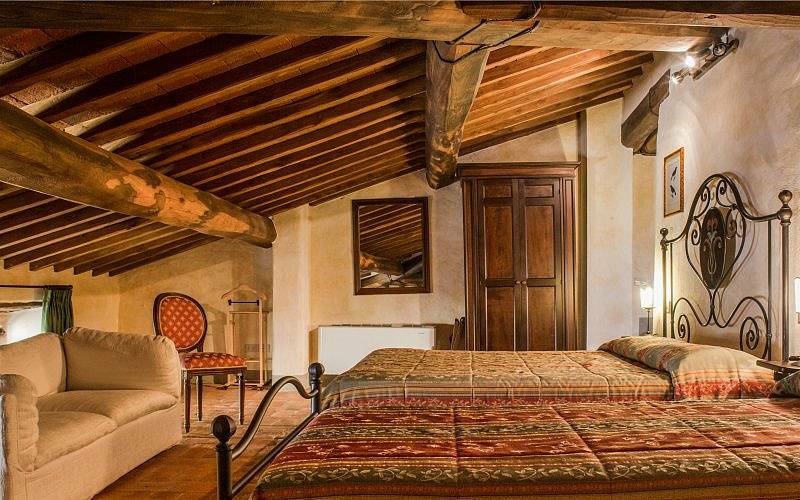 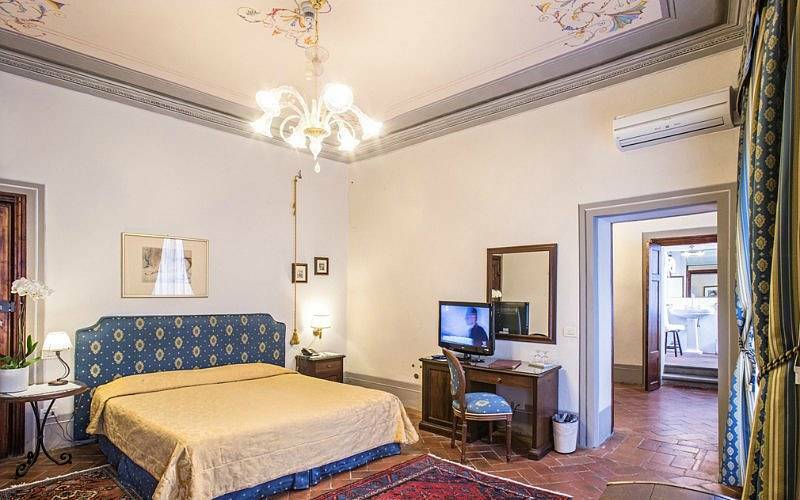 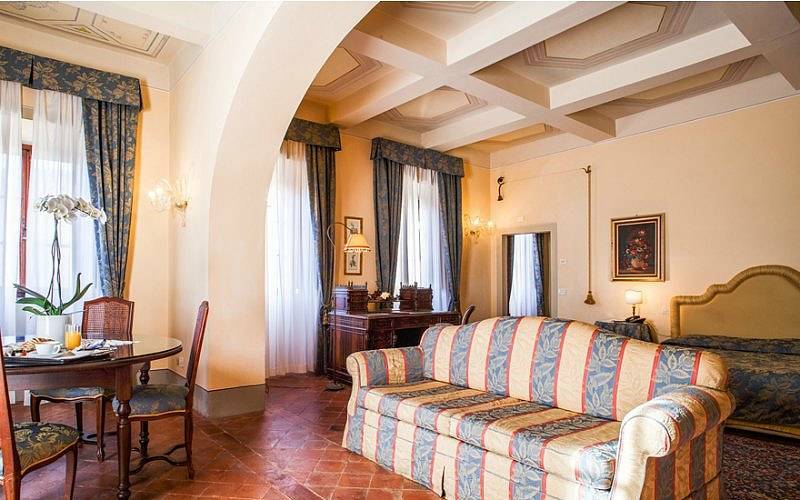 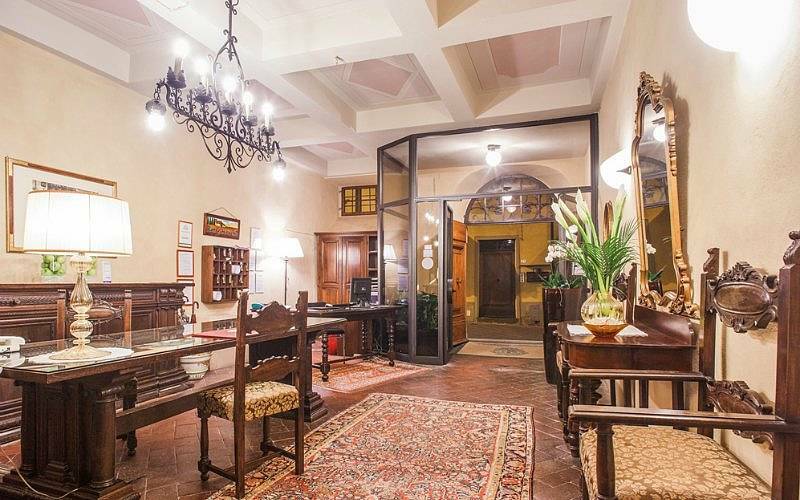 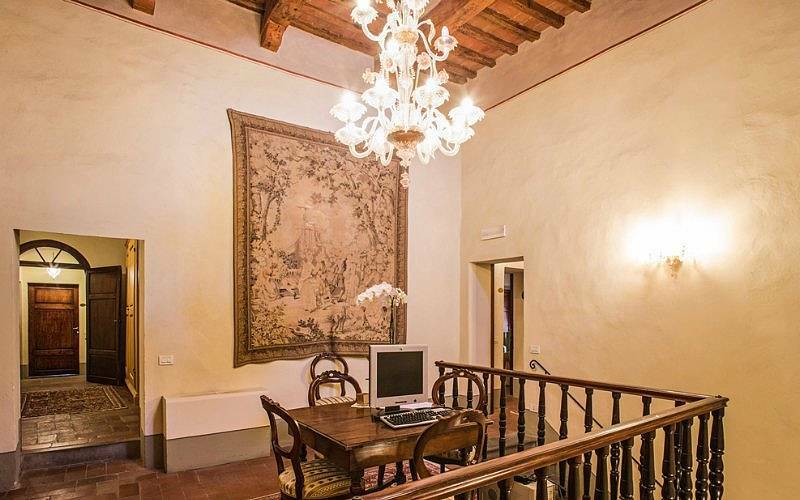 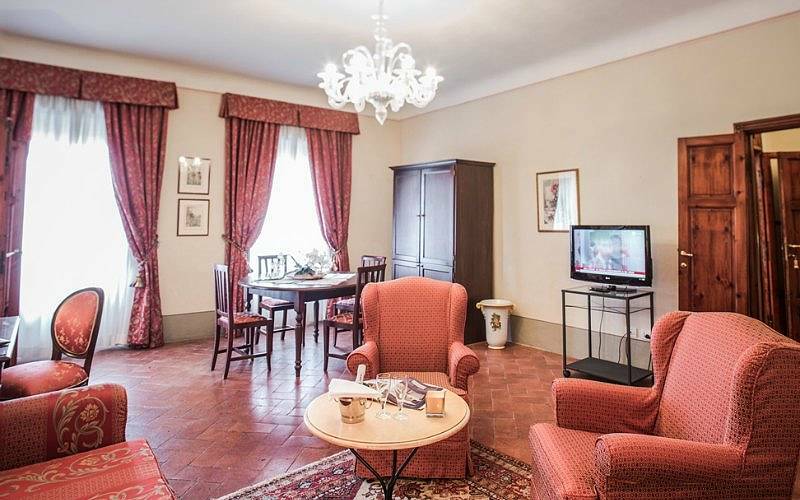 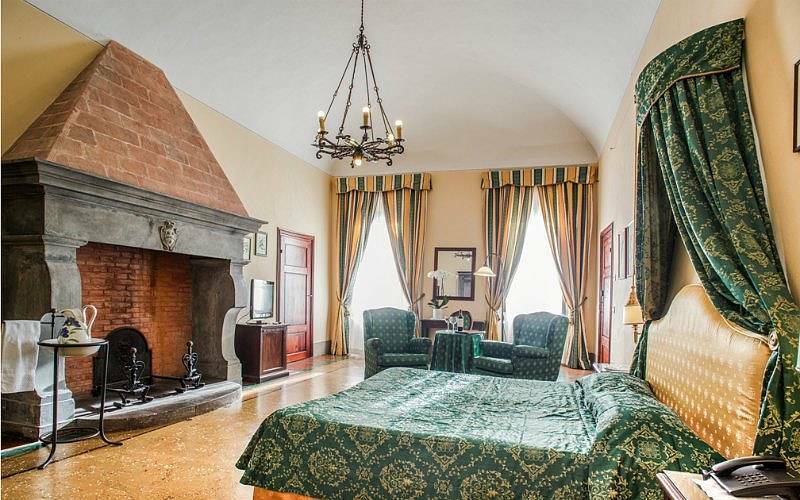 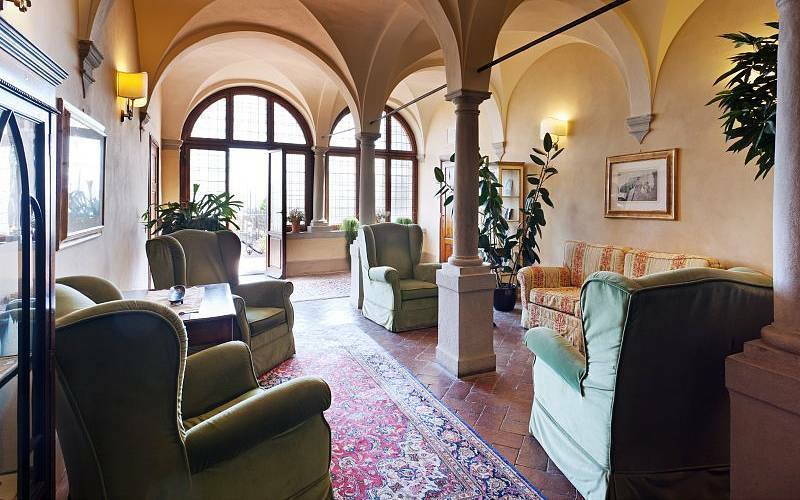 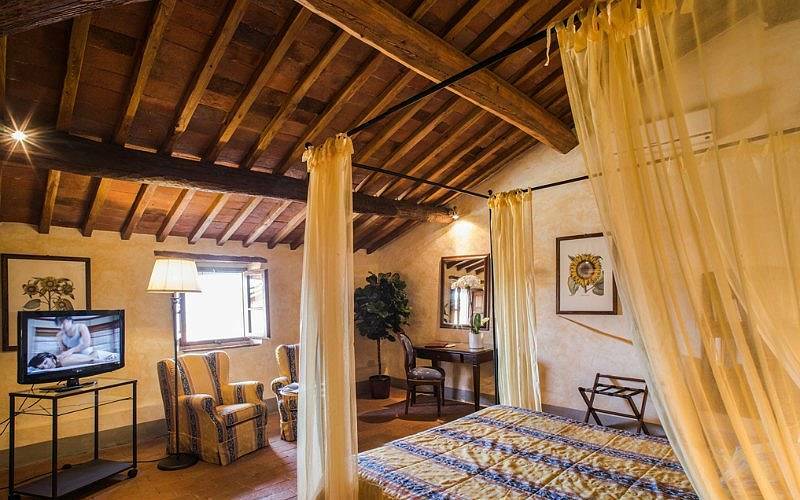 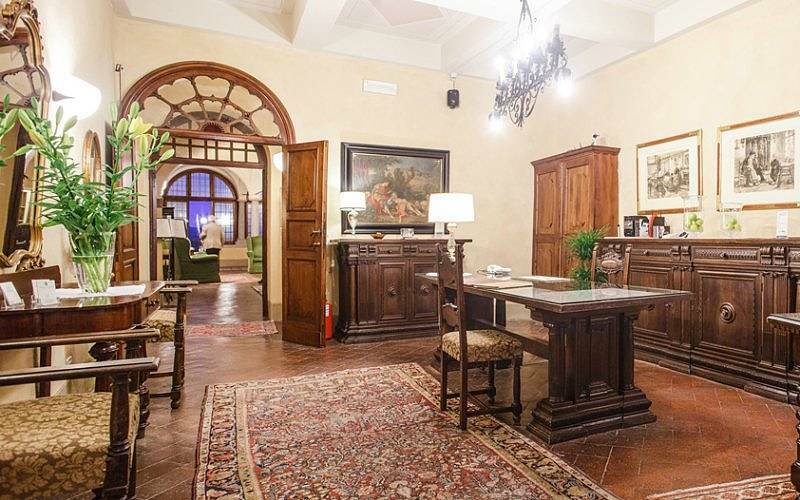 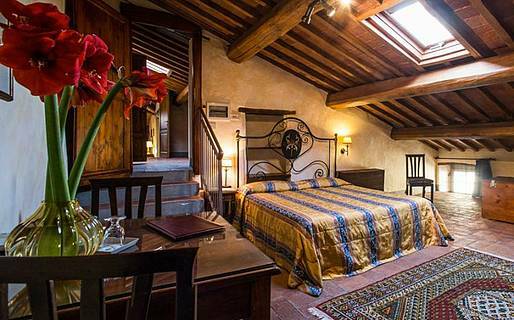 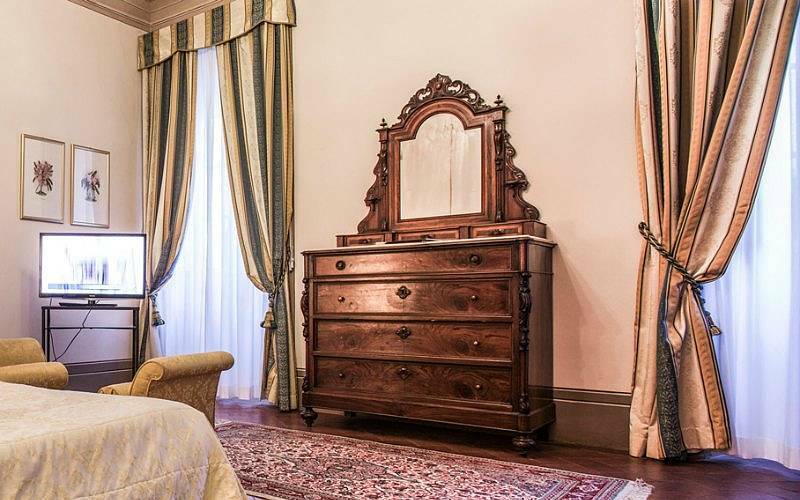 All of the residence's rooms are regally elegant, from the classic to the deluxe, but to really feel like the king and queen of the castle, book the large and light-filled suite, with its original terracotta floors, beamed and frescoed ceilings, and plenty of space to spread out and settle in. 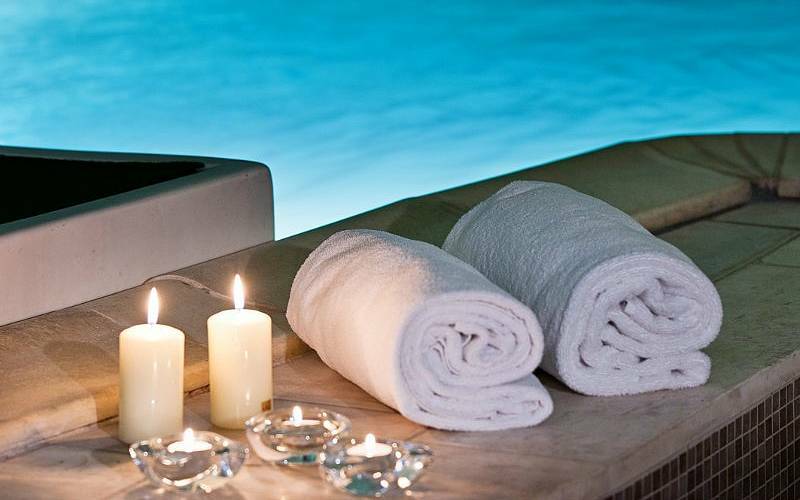 You'll feel like royalty! 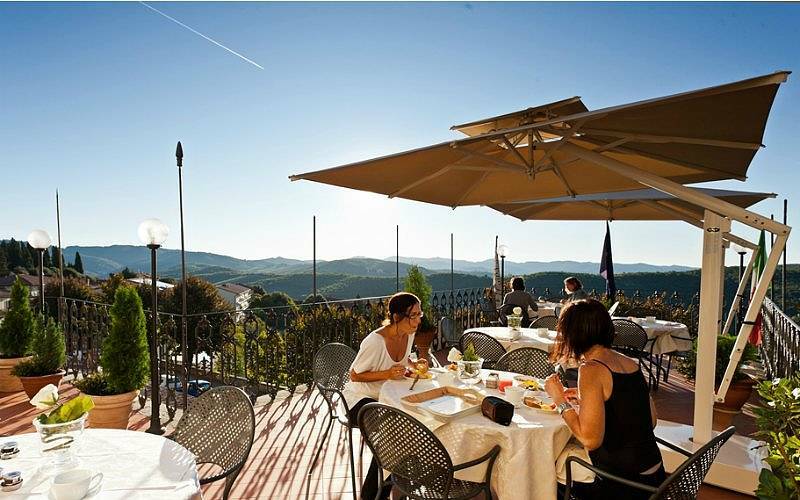 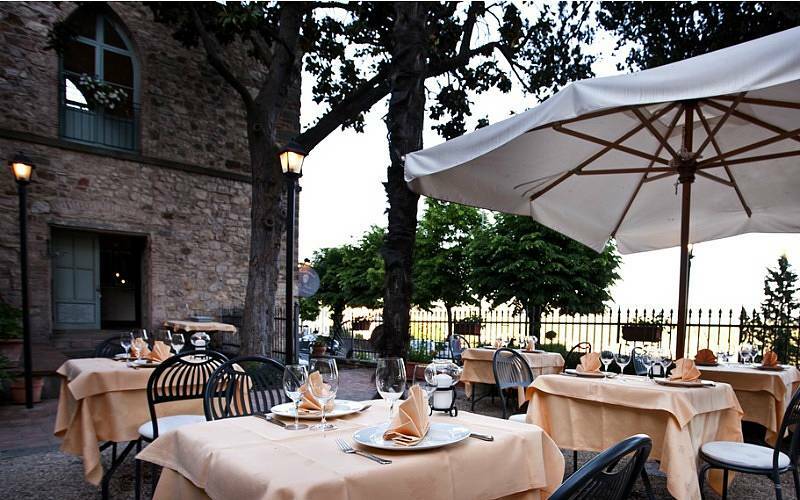 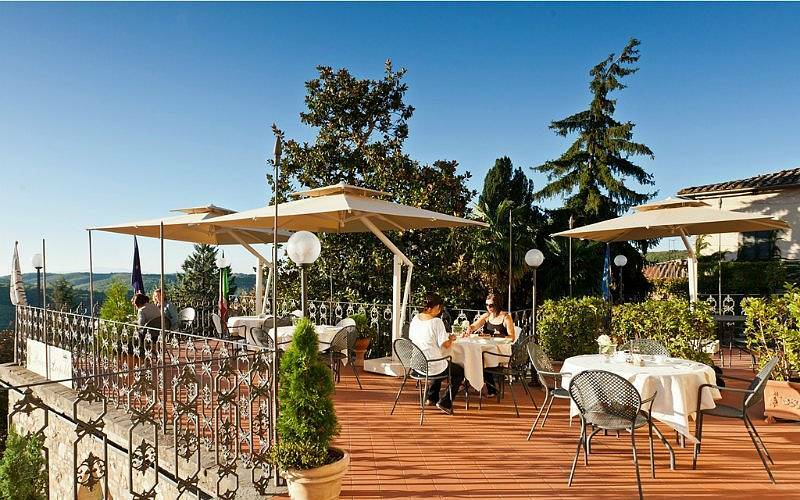 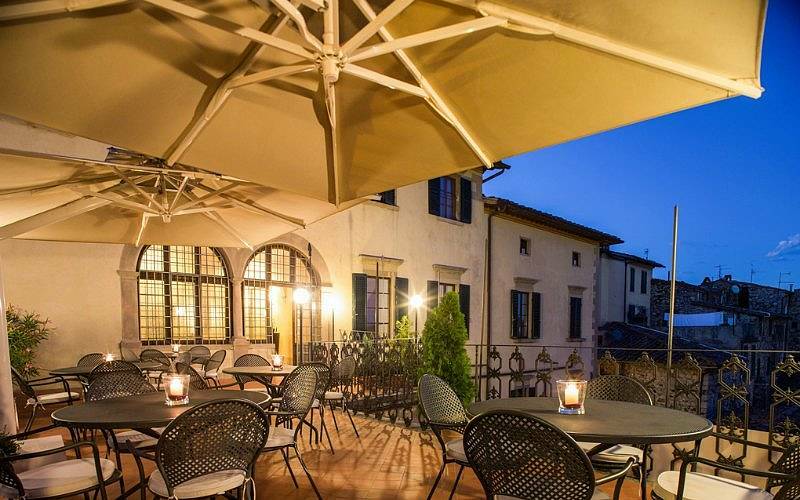 If you love the inside of Palazzo Leopoldo, you'll fall head over heels for the view from the scenic terrace which looks over an endless stretch of the hills of Chianti in all directions, with their patchwork of woods and fields. 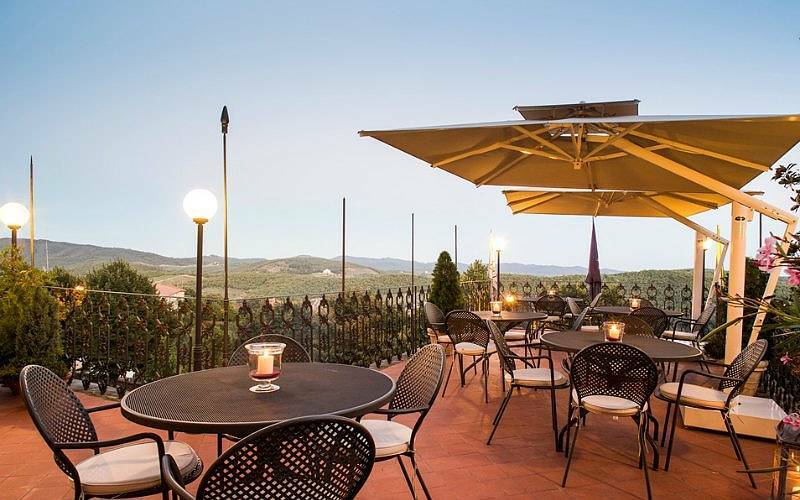 Lose yourself in the view while you sip a glass of local red with your fellow guests for an evening you'll never forget. 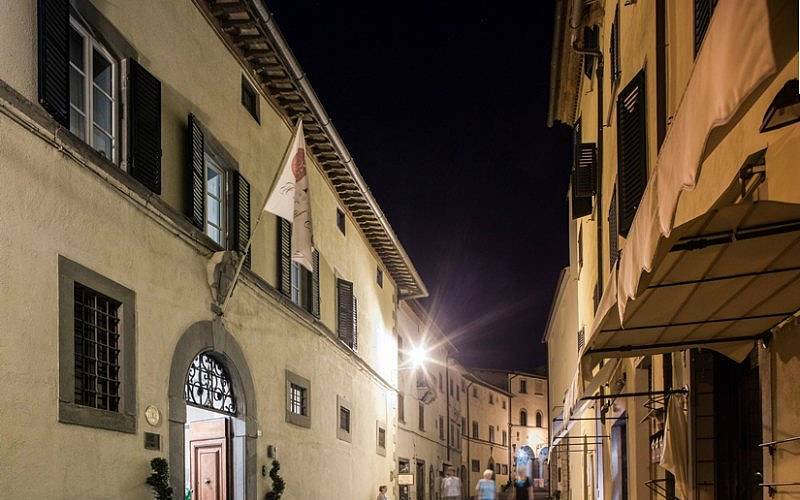 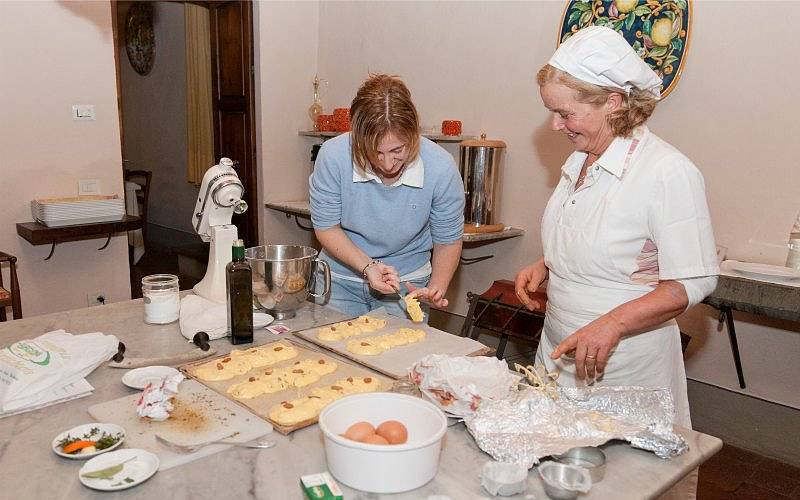 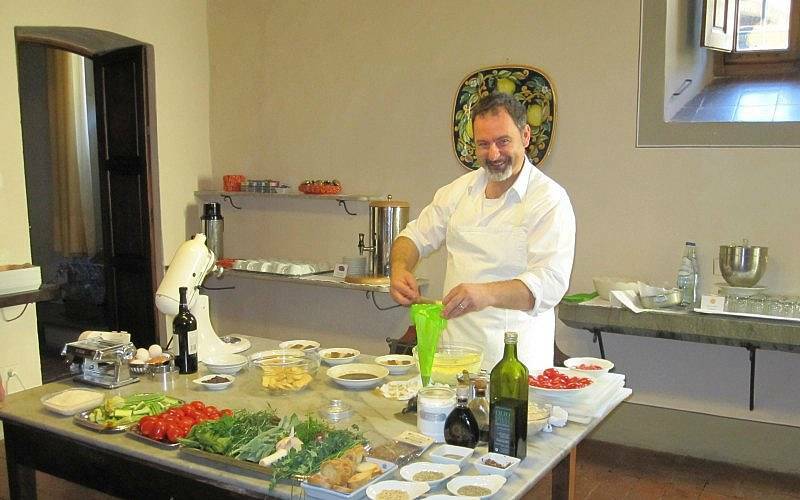 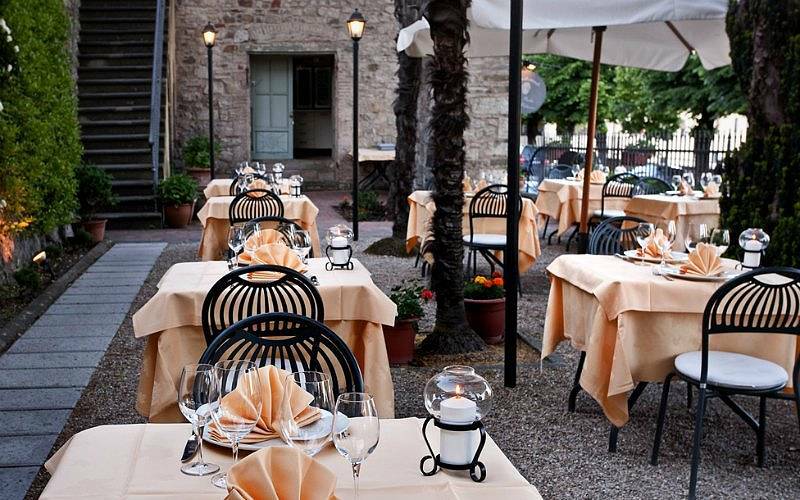 Enjoy all Chianti has to offer by booking tours of the surrounding cities, cooking classes, wine tastings, excursions, and shopping through Palazzo Leopoldo. 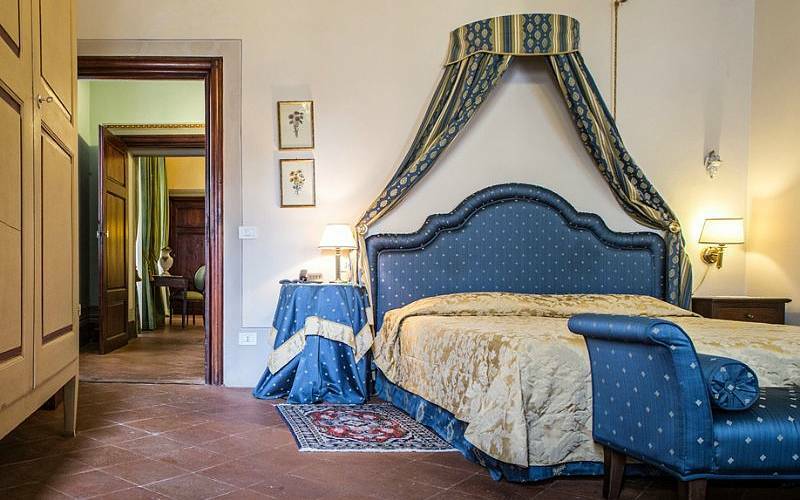 Close your eyes and imagine indulging in a relaxing respite deep in the green Chianti countryside which surrounds the villa after a day exploring Tuscany. 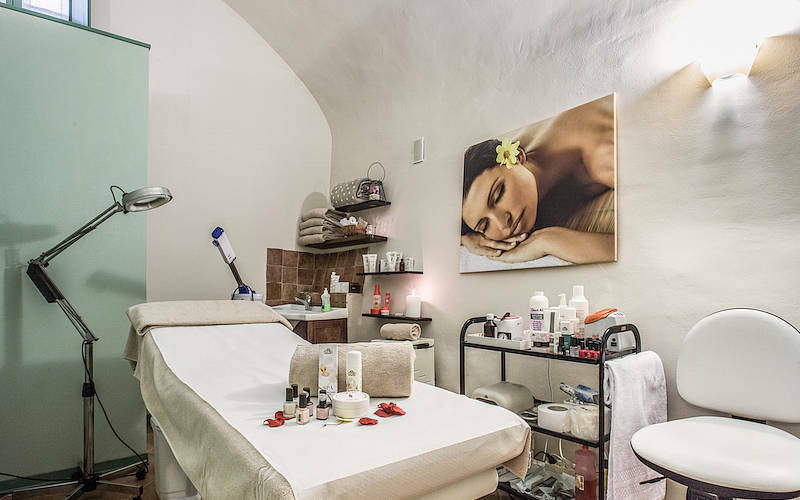 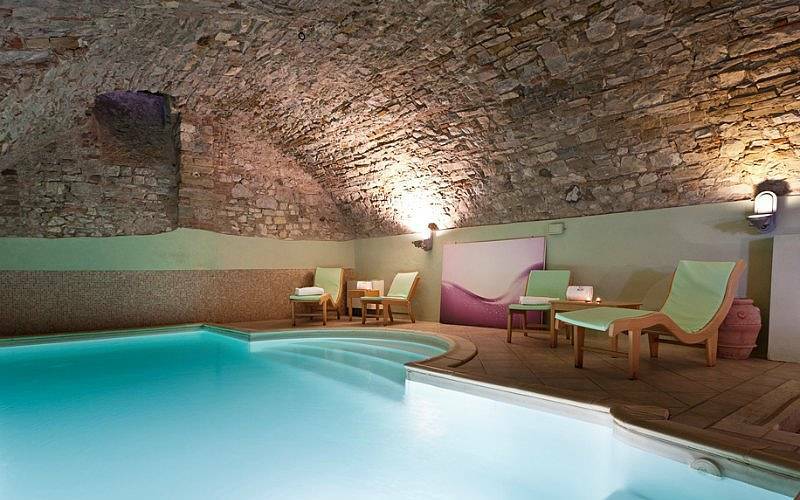 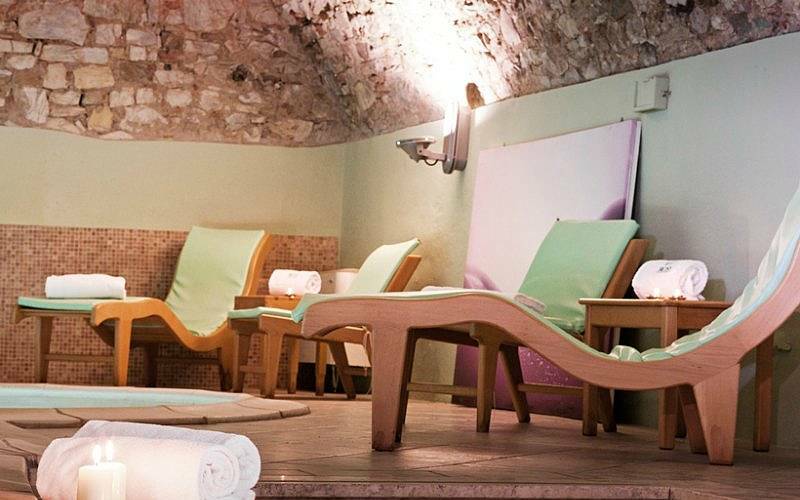 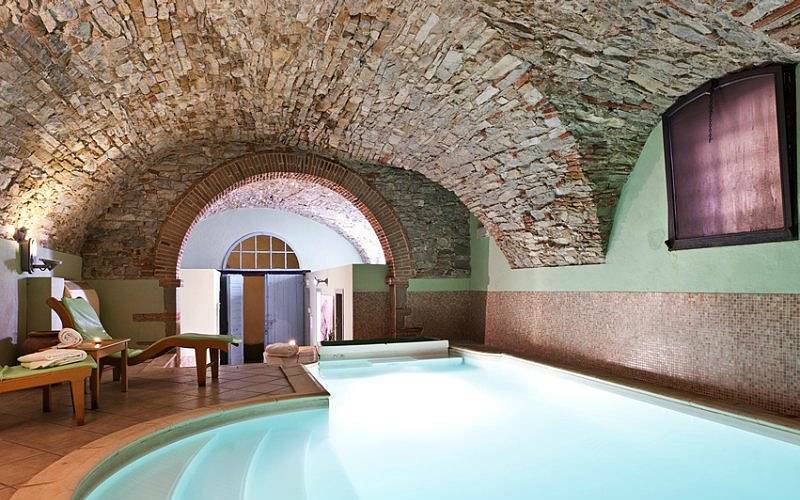 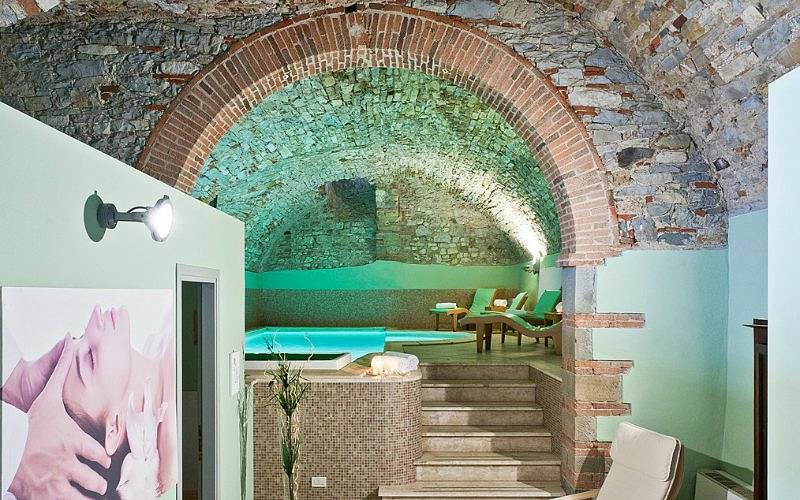 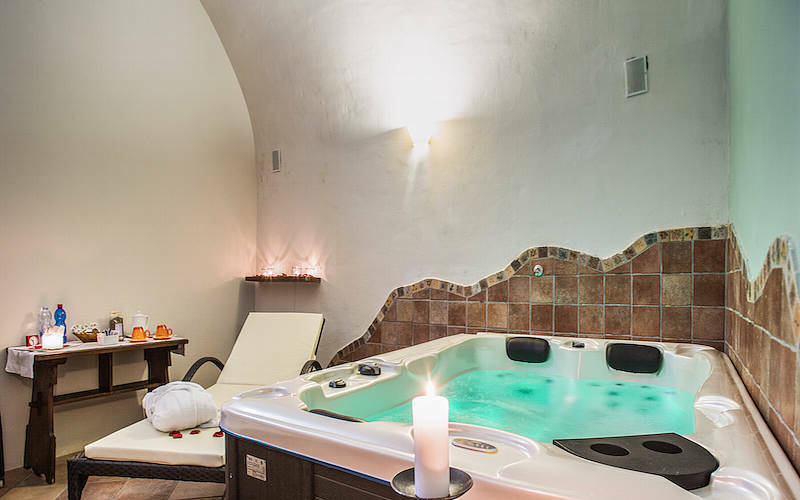 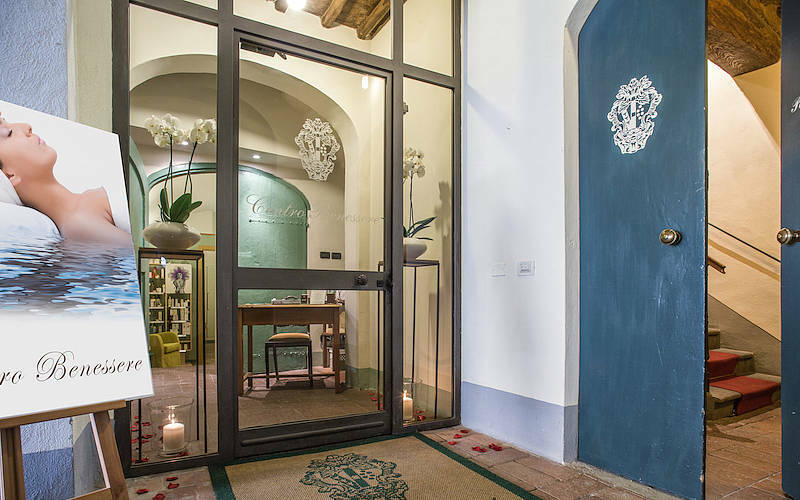 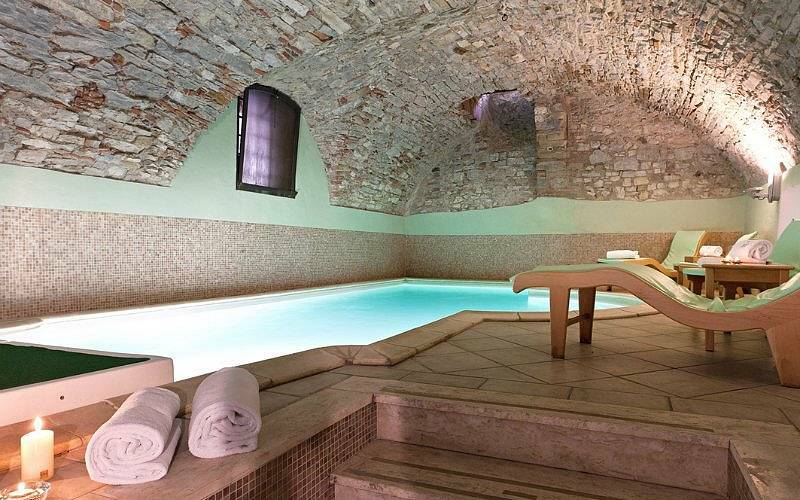 Unwind in Palazzo Leopoldo spa, there just to pamper the villa's guests.